Get things moving with an adjustable office wobble stool. With the ability to stay in constant motion throughout the workday, it is so much easier to remain focused. 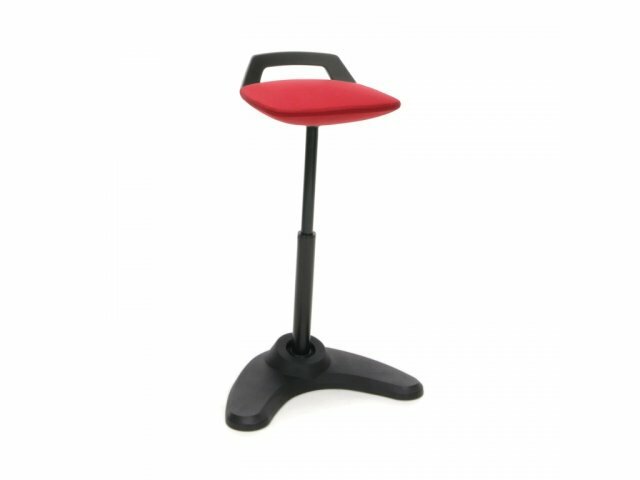 This stool pivots, tilts and rotates a full 360 degrees, so you can keep in constant motion, from any position. By releasing energy while you are seated at your workstation, you allow yourself to be more productive and take less breaks. 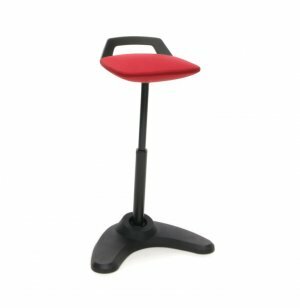 This office wobble stool combines movement with a professional aesthetic, and stability. The plastic base remains flat on the ground as you move around, while the adjustable center pole offers custom height settings. A choice of upholstery hues allows you to coordinate with your office decor. Healthy Movement: Stool rotates, pivots and tilts 360 degrees, facilitating constant motion. Sturdy Build: Plastic base stays flat on the floor, even when the user is in motion. Custom Adjustment: The center pole has adjustable height, providing a perfect fit for anyone, at any worksurface. Convenient Design: A handle on the back of the seat makes it easy to carry the stool from place to place. Attractive Options: Stain-resistant upholstery comes in a choice of appealing colors.